I’ve made changes in the Polar Flow web service/app, but I can’t see them on my Polar deviceIf you change settings, create or update sport profiles, create training targets or add favorites in the Polar Flow web service or Polar Flow app, you need to sync the changes to your Polar device.Have you forgotten your password? If you have forgotten your Polar account password, you can get a new one as follows: Go to the Sign in menu and click Have you forgotten your password? Type in your email address.Account already exists! Account already exists! notification is displayed if you already have created a Polar account in one of Polar’s web services with that email address.Troubleshooting Polar FlowSyncIf you have problems using Polar FlowSync, please check the following troubleshooting tips.Troubleshooting GPSMake sure GPS recording is set on: M400/M430: On your Polar device, go to Settings > Sport Profiles, choose the sport and set GPS recording on.Syncing data between Polar device and Polar Flow app failsPlease notice that the sync may take a while if you have lots of activity and training data on your Polar device.Pairing Polar device with Flow app failsIf Polar Flow app doesn’t find your Polar device, check that: There's enough battery both in your Polar device and your mobile device.How do I reset my Polar M460/M450/M400/A300/V800? Soft reset You can do a soft reset by pressing and holding the UP, DOWN, BACK and LIGHT buttons simultaneously for five seconds until the Polar animation is shown on the display.Polar M400 sync does not start in FlowSync. Now what? Check that the M400 charging area is clean If your M400 doesn’t charge properly, or if ...Troubleshooting M400 SensorsTroubleshooting Heart Rate Sensor Have you paired your heart rate sensor with M400? 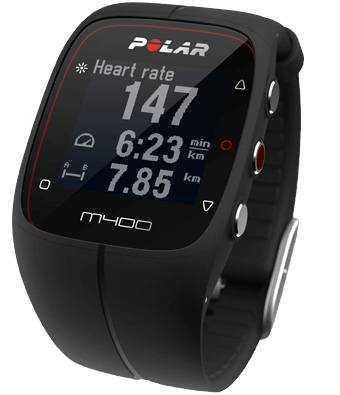 There ...Troubleshooting M400 synchronization Syncing data between Polar M400 and Polar Flow app fails.Why does the display of my Polar training device fog up? 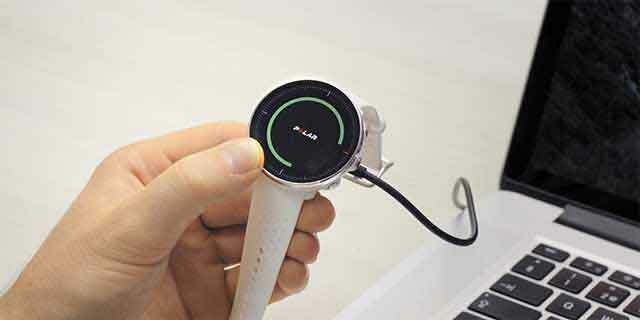 Don’t worry if the display of your Polar training device fogs up.My M400 is not charging Make sure that M400 charging area is dry Open the USB port cover and rinse the USB port with lukewarm water after each training session.